Being a die-hard fanatic of Shellac manicures, I decided to take a break and venture out of my routine to try some of the new DIY drugstore manicure kits. 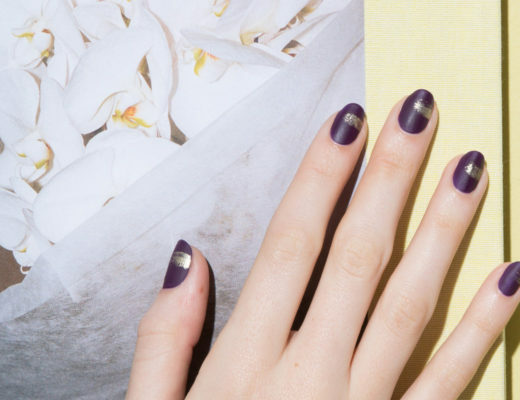 I have always been a bit skeptical of the peel and stick polishes, although for some of the trickier nail art, it seems like a good idea. Once I read that the peel and stick polishes were being used on the runways for New York Fashion Week , I decided it was time to give it a try – if it is good enough for the runway it should be good enough for me. 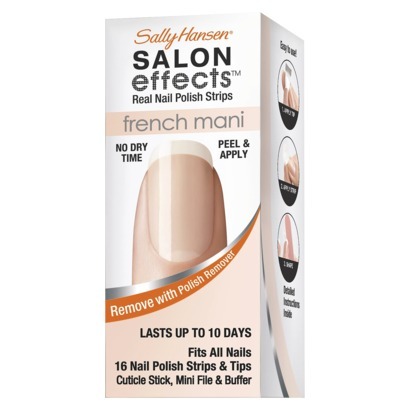 My pick was a Sally Hansen Salon Effects French manicure set. While the directions seemed simple enough, a 4-step process with pictures, I found myself reading them at least three times to match up the items in the kit. The kit comes with everything you need plus a few extras for screw-ups. Now, I am a bit of a perfectionist when it comes to nails, so my expectations are pretty big. When applying, you begin with the white strip. 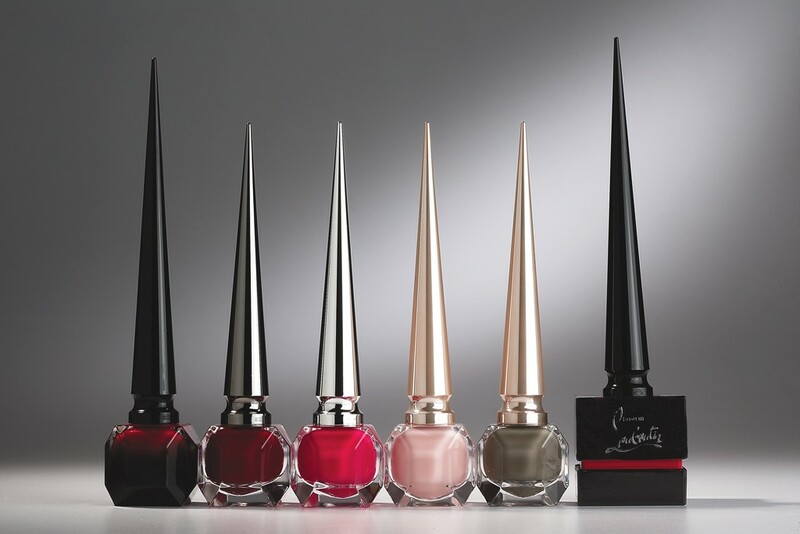 These are basically thin strips of polish the stick on your nail. It is a little tricky to get it lined up so it is straight and achieve the your preferred thickness. I ended up going a bit thicker than I like, but fine for the first go. Second step is to apply the pale pink/clear overlay. This part is a bit easier. It does sort of look exactly like what it is, something that is stuck on your nail, as it does not have the smoothing effect of a ridge filler. Generally the outcome was good. The best part is no drying time – when you are done, you are good to go. The fresh mani was immediately put to the test with a big family dinner. It endured all of the cooking, cleaning, and scrubbing that comes along with a big holiday get together. It held up pretty well. A minor chip that was still passable. This is more I can say for wet polish, as it pretty much chips on day one. It was still going strong on day three, but by day five, it was is bad shape. The box claims it lasts up to 10 days, but I am not seeing this as possible. In the end, I think it is a great solution if you need a quickie mani and no time to get to the nail salon. It will get you through a few days looking good.